England v India: How many of Alastair Cook’s Test opening partners can you name? 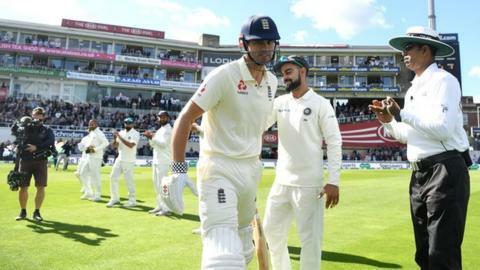 Alastair Cook will call time on an incredible Test career at the end of the current match against India at The Oval. The England opener has scored more than 12,000 runs and hit 33 centuries in 161 Tests - all England records. Cook has opened with 15 different partners over his 12-year Test career for England. How many of them can you name in three minutes? How many of Alastair Cook’s Test opening partners can you name? Want to test your cricket knowledge further? Why not try our quizzes on England's players in the last year and county overseas players?